Many had assumed that 'purchasing' the free license for P.T. 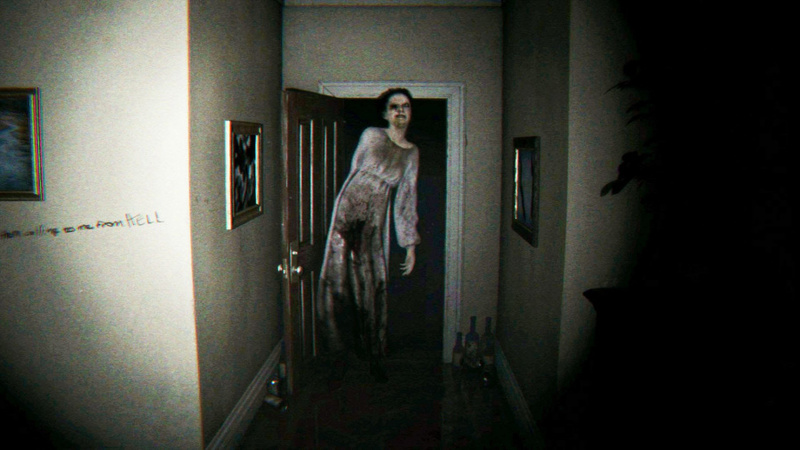 would be enough to allow you to re-download the Silent Hills demo from the PlayStation Store in perpetuity – but in typical Konami style, the promotional title has been totally pulled from Sony's servers. Polygon noticed that following yesterday's North American PlayStation Store update, the release was no longer available – and this has since been corroborated by various users on popular forum NeoGAF. The good news is that it's still available in Europe, but probably only for a few more hours. We've got it downloading to our console now, and we recommend that you do the same if you want to keep hold of it. The demo – which won silver in our Game of the Year countdown – is arguably still one of the most original pieces of content on the PlayStation 4 and deserves to be played. Those extortionate systems on eBay may well sell after all. I hope they don't start ripping it off consoles next! Fairly confident I already had it on there, but setting it to re-download now remotely from work just in case! ....Wow. I know there is no hard copy, but that's why I ALWAYS buy the physical. ALWAYS. Damn this "new era". I'm so curious of the future of gaming. eh...at least they cant take away my classics. All I need is a good set of lungs to blow in my Game Paks. Sony, also needs to change their removal message as it is FALSE and you can't redownload it again. People also need to remember that this is not the first time on the Playstation network that in the digital era that something is being removed forever without a way to back it up. REMEMBER: Playstation Mobile will fully go dark on September 10th and the ability to re-download purchased content is also getting removed. (Apparently these take up too much server space or cost too much to maintain a server). At least we got a blog post about their removal and have the PC Content Manager app that should let us backup (I don't know what happens if you replace your Vita/Vita TV however). So glad I re downloaded it a few days ago, now I just have to get up enough courage to play it again. Bad side: Idea, I'll let players play PT demo for 3.50 for 30min using share play. Good side: That's greedy and mean, and they could troll you by deleting it. Bad side: I'll stop them, and it's not greedy, its being nice that has a price. Good side:Who in the right mind would pay for a demo they can't keep? Good side: And how would they pay? Bad side: PayPal ^_^ , someone will.